Found 2 file extension associations related to CN3D and 1 file format developed specifically for use with CN3D. 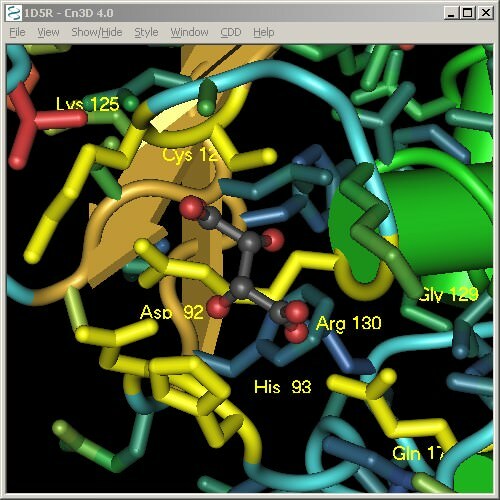 Cn3D ("see in 3D") is a helper application for your web browser that allows you to view 3-dimensional structures from NCBI's Entrez Structure database. Cn3D is provided for Windows and Macintosh, and can be compiled on Unix. Cn3D simultaneously displays structure, sequence, and alignment, and now has powerful annotation and alignment editing features. If you need more information please contact the developers of CN3D (National Center for Biotechnology Information), or check out their product website.